Looking At Some Of The Cannonball Saxophones For Sale. Cannonball has been known to make some pretty durable horns. They come highly recommended by most pro horn players I know. With prices varying by model, you will find excellent play ability on these horns! 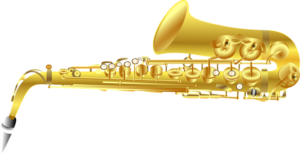 Saxophones generally exist in four types. These are; the alto saxophone, the tenor saxophone, Baritone sax, and the soprano cannonball saxophones. Weather you’re a pro or a beginner, choosing the right horn can be a daunting task to say the least. I put in good time trying out the following horns so here are my thoughts. I remember owning the Vintage Reborn Pro Alto late 2002, before marriage and all the other associated blessings stole my heart from my true love. Pro Alto prices have been a bit volatile lately, but I still got this one at a good deal. Just so you know, this is still one of the best Saxophones you can get in the market, and good luck finding one. Before I got one of these at a good price, I had used and owned quite a lot of Alto Saxophones. This one was different. Not only was it given to me by a mentor at the time, it had the nostalgic feel to it. While playing, you could almost feel like you were back in the 80s before global warming and Trump. As vintage as it sounded, it also looked the part with vintage hand engravings which simply took my breath away. A personal ritual of mine during this period of my life if my memory doesn’t fail me was watching the sunset at the clear water beach, while enjoying the sweet nostalgia being played by my amazing vintage mami. This I suggested she sounded like Rita Moreno. This version of cannonball saxophones for sale is definitely a winner. The Vintage Reborn Pro Alto is one of the few preferred Saxophones by many of the world’s greatest players including Branford Marsalis and Marc Russo to mention a few. The addition of a lateral brace to keep the four left-hand table keys in place given the very high probability of them being knocked out of position when their top post moves was extremely helpful. Especially in times when the horn is either hit or dropped. It is vintage, it is Classy, it is Rita moreno, kindly get one! Have you ever had the privilege of playing a Stone Series Pro Tenor Saxophone?? If not, kindly add that to your bucket list. I currently own a Stone series pro myself and the instrument is a beauty in sound and vision. Like the sound of the oceans tides, the ringing crescendos from the large Bells of the Stone Series Pro Tenor Saxophone project a warm, yet bold sound, producing reverberations similar to that of the big-sounding American horns of the mid 1900’s. I like the fact that the Stone Series Pro Tenor comes with two hand-customized necks, a traditional neck in a finish matching the saxophone’s body which happens to be my preferred choice. Add to the win list the Forged brass which possesses much greater strength and uniformity than the traditional molded brass, to resist keys from bending over time. The Stone Series Pro Tenor Saxophone might not have all the outward glamour I am used to, but it more than makes up for its simplistic design in performance. And even if you need all that shazam to go with the performance, it sports precious stones at strategic areas of the instrument, making it seem like an instrument for folks who just want to get down to business and good business!! As you can imagine, this type of customization will effect some of the prices. Words alone cannot express just how full-bodied the sounds are, with rich lows, and in-line overtones. Acoustically, this is the 2nd best Tenor Saxophone in the market in my opinion. All I am going to say is this, if you haven’t played one of these, kindly do. Believe me you don’t want to go to heaven and find out you missed the prelude to heaven which was left on earth! Most of my fans know I’m a big fan of Gerald Albright. And his sound on his signature series Alto is big. Trust me, I’ve seen it up close at one of his performances. And, I had a chance to give the horn a run for myself. 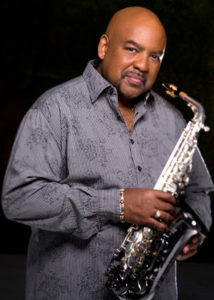 The Gerald Albright Signature Pro Series saxophone is a killer horn and has a big cutting edge sound. The altissimo pops out like nothing I’ve ever heard. And the engravings are definitely something to marvel at. Just beautiful! People would simply fall in love with the instrument, especially the engravings and those precious stones on the instrument to the envy of many other basic horn types. To some it up, the thing is just pretty! Make no mistake though, the instrument sounded twice as much as it looked, plus it had an amazing range and made passages so easy to play the folks from my music class would attribute my sound to a “cheat instrument”. With water resistant pads which meant I could play around pools even though in hindsight, this wasn’t a very good idea. I become quite a local champion as everyone knew about the guy from Darthon hall whose sound and instrument wore such a beautiful look. The ability to remove the bell and bow blew me away. This feature came in handy in a couple of situations where the Sax had been very seriously damaged. It was almost like I had a Sax with all that finesse yet with 9 lives. All in all, the Stone Series Professional Alto Saxophone is an amazing piece of equipment for those remotely interested in quality instruments. Consider looking for one of these cannonball saxophones for sale. Should you get a student or a professional model? Saxophones vary by model. Student and professional Saxophones are far from similar. 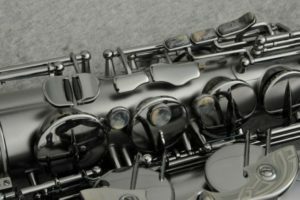 When deciding on which cannonball saxophones for sale you’d purchase, you might want to first ask yourself If you’re using the horn as a hobby or something more professional. If you are a student or this is your first time playing saxophone, getting a student model first might be the best choice. I started on Tenor sax and still to this day recommend it as a first horn if you’re starting out. The tenor sax in my opinion covers all of the sonic basics in the original sound of a saxophone. Tenor saxes are generally more expensive than the altos. For players out there with a bit more experience, Cannonball Saxophones are a bit heavier than most other horns I’ve played. But they truly do have a big sound. You will notice the bell to be a bit wider if you put it next to say, a selmer, or a yanigisawa sax. And the weight of the horn has a noticable differance. They are heavier! Cannonball Music did an excellent job with some of the pro player updates too. Altisimo notes seem to pop out a bit easier on some of the silver finishes. You will note that some models have a dark sound and others have a more brighter tone. This is a personal preference thing so it’s a good idea to know which of these tones you’re looking for. Brighter horns are good for rock, funk and even gospel. Darker horns are better for straight ahead jazz and even studio work. The type of mouthpiece you play on will a huge differance on the sound. For example, if your mouthpiece is really bright than you might want to consider getting a darker sounding horn. Every model is built to a certain standard. This is for good reason. Mainly to cover a preference of style particular to the player. Not all shops offer discounted prices for their horns. Saxophones are generally high trade value items. You could expect to fine dealers caring these horns quite often. The manufacturer will determine the preferred list price of a cannonball saxophone for sale. Example: cannonball saxophones designed by Yamaha differ in price with Buffet or Yanagisawa saxophones. Other designers of cannonball saxophones for sale are Trevor James, Selmer, Jupiter and Elkhart. Some dealers offer discount prices to new and used saxophones. In some cases, new dealers reduce their saxophone prices to attract new customers. The finish of cannonball saxophones for sale will effect the sound in a major way. Again, this is a personal preference thing. Here are some of the finishes on cannonball Saxophones. Lacquer finish: This will have a rich and more of a warm tone. Silver Finish: This will give you more of a traditional sound. I tend to think they have a much brighter sound. Black Nickel: These have more sound and volume and can cut through pretty well. Unlacquered: If you’ve seen one of these you probably though it was an old used horn. But really its just a sax without any coloring or finishes. Many professional prefer their horns unlacquered. Keep in mind that these are generally more darker sounding horns. Be sure to get the right mouthpiece! If you play classical or concert band music, I tend to think a hard rubber is the way to go. A metal mouthpice might project too much in a classical orchestral situation. If you plan on whaling away then consider a metal mouthpiece. These are excellent for live funk, county, and rock. I’ve been playing on my metal Yanigisawa for many years now. It has done me proud! I also enjoy playing on Dukoff, beechler, and Theo Wanne. Excellent choices for mouthpieces!! 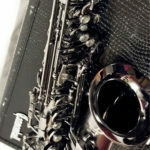 Also check out the Curved Soprano Saxophone as another choice!